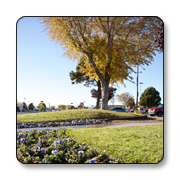 Services | Dave's Grounds Maintenance, Inc. | Albuquerque, New Mexico | Services include landscaping, lawn care, tree & shrub care, landscape design & maintenance, irrigation install & repair, interior or exterior plant and flower care and much more! We offer a wide array of lawn services including power raking, aerating, fertilization, weed and pest control, and revitalization of problem areas. Need a new lawn? We can take care of that too. 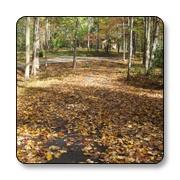 We can meet your evergreen and deciduous needs. We do planting, pruning, and reshaping. We’ll also diagnose and treat your diseased and deteriorating trees and shrubs. Whether your property needs a brand new look or just needs to be revitalized, Dave’s Ground Maintenance will meet your needs. 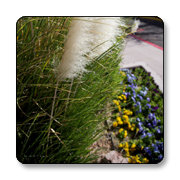 We install lawns, planters, trees, shrubs, and xeriscaping. You can be rest assured, because all of our work is guaranteed. 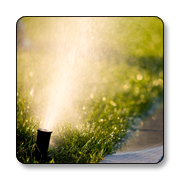 We’ll install, maintain, and repair irrigation systems for your home or business. We have the MS6 irrigation license for the state of New Mexico which allows us to install and repair supply lines, sprinklers, valves, vacuum breakers, and irrigation timers. We design and install custom patios and decks that will provide the ideal transition from the indoors to the outside. We have experience in creating elegant interior designs in offices, lobbies and entryways. Our main goal is to restore and maintain beauty in the workplace.